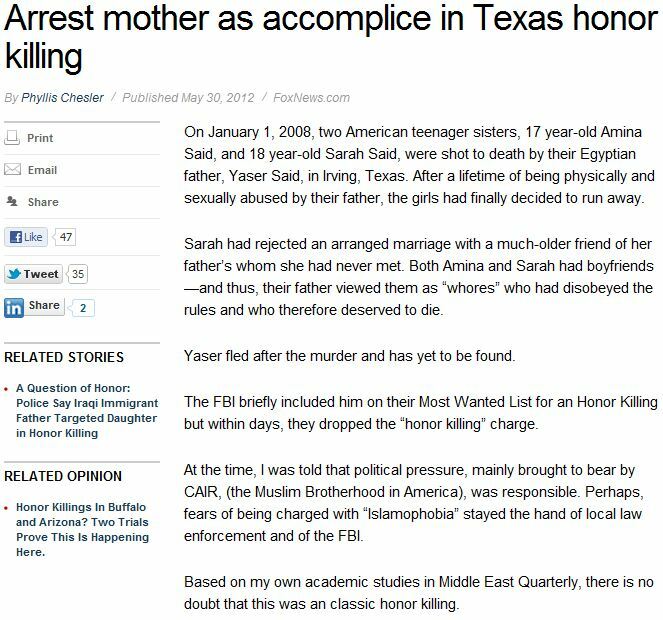 PHYLLIS CHESLER: ARREST MOTHER FOR MURDER OF TWO DAUGHTERS IN TEXAS HONOR KILLINGS……. – The Tundra Tabloids……. 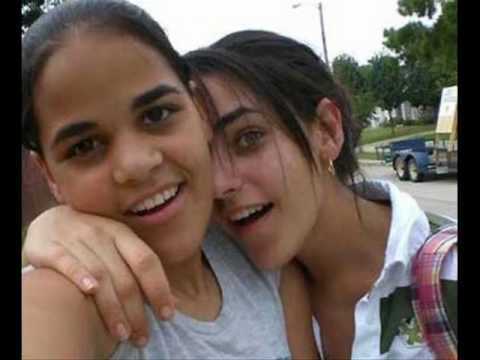 The Egyptian father has never been found, but the mother is still available, and if history is any reminder, especially in the Rifqa Bary case where a young teenager fled her home out of fear that she would be murdered by her parents due to her conversion to Christianity, the mother of these two girls was involved.. Unlike a lone spouse in a fit of rage (usually a male) that leads to killing a family member(s), honor murders usually involves more than one family member, and in many cases, involving a cabal of relatives, who scheme to end the life of the ”offending” party. That is a big difference here, cultural acceptance of homicide/violence against family members, and it’s highly possible that the mother herself was involved in the father’s execution of his two daughters. She was at the least, a passive participant to the double homicide, having knowledge of his intended actions, or feared that was his intention, and did not notify the police. NOTE: The police need to re-investigate the case. Previous Post Previous Post GOVERNMENT OF IRAN’S PRO-HITLER WEBSITE……..
Next Post Next Post DEMOCRATS STUMP FOR OBAMA IN FLORIDIAN SYNAGOGUE, MEMBERS FEAR LOSING TAX STATUS……..
Muslims should consider that continually killing their women, could have serious long term consequence for the Muslim population in the USA. @DP111: One of their problems is not being able to see problems ahead…if there is any hope for muslim women, it is in non-muslim dominated countries. They need something like the Underground Railroad. As the victims, they have to rise up. It cannot be done for them.